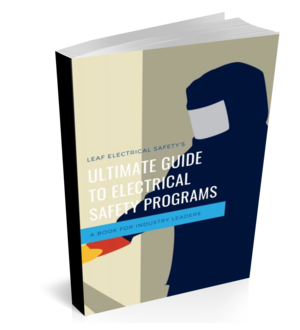 In many industrial facilities around the world, workers are exposed to electrical hazards each and every day. In order to assess the risk of a particular job, you need to determine the severity of the hazard and the likelihood of something happening. In this article, I will go over how to determine the severity. Determining the severity of a potential electrical incident is an important part of the risk assessment process. So once you’ve figured out whether or not a potential hazard exists then you need to figure out what the impact would be if you received a shock or were caught in the middle of an arc flash explosion. When you are trying to determine what exposed live conductors actually pose a hazard a good place to start is the voltage level. Typically everything under 50 volts can be treated as safe (or safer) but interestingly enough all you need to do is double the 50 volts and you are at a lethal level. What I’m saying is that your everyday household voltage 120 volts can produce enough current to be lethal and here is why. If the resistance of your body always stayed the same it would make this calculation a little easier but in reality, the resistance of your body can vary by one hundred times! It can go from one thousand ohms all the way to one hundred thousand ohms, this is quite a difference and as I’ll show you can have a major effect on how much current you would receive if you got a shock. At 120 volts, if you received a shock when you were all nice and dry then the current would be around 1.2mA and if you just finished a game of tennis and received a shock from the exact same source the current would be 120mA, a difference of 10 times! We’ll start off at 1mA. At this current level, you’re going to just start to feel a light tingling sensation, barely noticeable. Ramping up a little bit to 10mA, this is where the pain will set in. And the pain will stay there as long as you are in contact with the current source. At 15 mA you will have a loss of muscle control. So what is going on here is the AC current flowing through your body is telling your muscles to continually contract. If you actually had a grip on something that was the source of the current, you are not going to be able to let go. Moving now to 25mA, this will cause your respiratory muscles to become paralyzed. You are going to have a lot of trouble breathing! Somewhere between 50-100mA, your heart will go into ventricular fibrillation. Ventricular fibrillation is the most serious cardiac rhythm disturbance. The lower chambers quiver and the heart can't pump any blood, eventually causing the heart to stop. Above 200mA you will have severe burns, internal organ damage and the heart will immediately stop. None of which sound very pleasing. So what have we learned about shock? What we’ve learned is that even with a seemingly low voltage of 120V the results of a shock can be deadly, that means the severity is high for almost all shock hazards. When is the severity low? It is widely agreed that anything below 50 volts can be treated as a relatively low risk but I would try to avoid contact with any voltage. During an arc flash, there is an explosion which causes intense heat, a ball of fire, molten copper shrapnel, copper vapors, light, concussion waves and a very loud bang. Now even though there are a lot of different hazards involved, when we are trying to quantify the severity we only focus on one element, and that is called the incident energy. Incident energy is defined as “the amount of thermal energy, impressed on a surface a certain distance from the source, generated during an electrical arc event.” Incident energy is typically expressed in calories per square centimeter (cal/cm2). An easy way to think of it is that the incident energy is a measurement of the heat energy each and every square centimeter of your body is going to be exposed to during an arc flash. So let’s just take one square centimeter of your body, maybe the tip of your finger. Next, we are going to hold a butane lighter 1 cm away from your finger and light it. Holding it there for only one second ensuring the finger is in the blue flame, one square centimeter area of the finger will be exposed to about 1.2 cal/cm2 of heat energy. Interestingly enough that one square centimeter of skin you just burned will have just about gotten a second-degree burn (1.2cal/cm2 is the threshold, so hold it there a little longer and you will have a second degree burn for sure!). A second-degree burn is going to be painful, you will probably have some red, white or charred skin, maybe all three, the skin will blister and begin to peel, and it will take around 14 days to heal. I’m not going to show you pictures here but trust me healed means the wound is closed up and you’re not going to get an infection, it definitely doesn’t mean everything looks as good as new. If you spend some time calculating arc flash in different industrial settings, which I don’t really expect you to do, you’ll come to find out that 1.2cal/cm2 is relatively a low number. In fact, it’s common to find numbers like 4, 8, 25 or 40 cal/cm2! In my opinion, a second-degree burn to my entire body (or any parts of my body not covered in protective clothing) would be considered “severe” so I’m going to treat any arc flash with an incident energy greater than 1.2cal/cm2 as a hazard with a high severity. In both cases, determining severity for shock and arc flash, there are surprisingly low numbers we can use as thresholds to decide whether the outcome of an incident would be considered severe or not. This makes doing a risk assessment a little easier but also points out how serious you need to take these deadly hazards. Next time we will go over determining the likelihood of an electrical incident event happening and how to use these two factors to decide what protective measures you should take (if any).